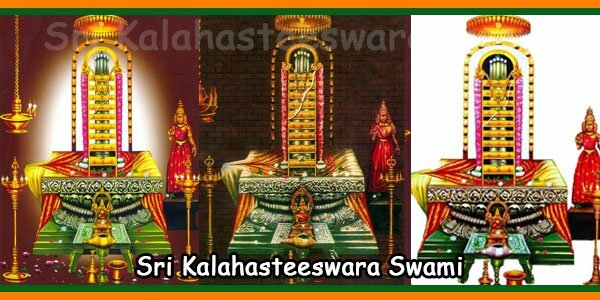 Abhishekams are performed to Lord Kalahasteeswara and Goddess Gnana Prasunambika four times a day. The Abhishekam: A ritual and part of daily prayers, Abhishekams (bathing the Lingam) are performed to Lord Kalahasteesvara. The Abhishekam is done with Panchakarpura (camphor mixed with water, honey, milk, camphor and Panchamruta) along with chanting of the mantra, which signifies the act cleansing and singing melodious hymns of praises to the Lord. However, the main Lingam is not touched by any human hands and all the prayers and Panchkarpura Abhisheka are offered to the bronze idol called as Utsavamurty. Pilgrims who visit the temple can participate in the Abhishekam that are performed by priests belonging to Bhardwaja Gotra of Apsthmaba Sutra who take up the approved Diksha, a religious initiation, in the temple. During the Abhishekam, flowers, sandal paste and scared threads are offered to the lord. A different kind of Abhishekam, it is a prayer that involves bathing the Lord Shiva with milk and camphor, while chanting mantras for purification. Devotees can take part into this by paying Rs 100. After the Abhishekam, the devotees are presented with trithprasadam. A different kind of Abhishekam, it is a prayer that involves bathing the Lord with milk and camphor, while chanting mantras for purification. Devotees can take part into this by paying Rs 100. After the Abhishekam, the devotees are presented with trithprasadam. 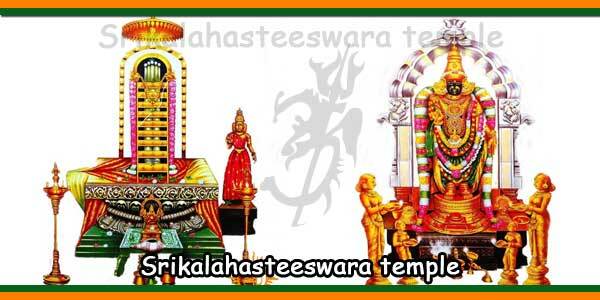 This is yet another significant Abhishekam which offered to Lord Kalahasteeswara and his consort Gnana Prasunambika. Devotees need to pay Rs 300 to be a part of the Abhishekam. Bahumanam: Pulihora, panchamritam, tirtha prasadam. This is the only and most important kind of Abhishekam performed to the untouched and pristine lingam. The pilgrims can pay Rs 100 and participate in the Abhishekams scheduled. The Abhishekam is performed to the Lord Saniswarabhishekam, who is placed in the Lord Kalahaasteeswara Temple. Pilgrims can take part by paying Rs 150 and be blessed by the Lord. The Following are the details of free distribution of Prasadams to the Pligrims. Following are the Sale Prasadams. Sir, iam Lakshman Kumar and my DOB- 16-09-1984. Until now I haven’t got any job. Sorry, we do not predict such queries. Just worship Lord Ganesh between 0500 hrs and 0600 hrs in the morning daily and make your request sincerely and soon you will get a job. What is the best day and time to perform Rudrabishekam at Sri Kalahasti ? Any day you can perform this pooja. Since Modays are treated auspicious and dedicated to Lord Shiva, you can do on any Mondays morning between 07.00 to 09.30. I am Santanu Basu, was born on 17th July, 1981 at 8.30 am in the morning, at Krishnanagar, West Bengal. Still I am not married. And I am facing lots of problem in my career. In my marriage also lots of problems are coming. Can you suggest me some remedy for the improvement of the situation? Should I perform Rudrabhishekam? I am looking forward to your kind reply. Thank you. I can suggest you some remedies just follow that and seek the blessing of Gods. Perform rahu kethu pooja on Sashti thithi that falls on a Shukla paksa thithi. Where ever you do this parihara pooja first offer archana to Lord Ganesha and then proceed to the parihara sthala to do the pooja. This is must. First – Daily worship Lord Ganesha by reciting any of his naama manthra for 108 times. Worship Lord Subrahmanya by reciting OM SARAVANA BHAVAYA NAMAH FOR 108 times. Then – worship Lord Hanuman by reciting Hanuman chaleesha or naama manthra or bhajans of lord Rama. You can recite the Hanuman chaleesha only on every Tuesdays and Saturdays also if you cannot for daily. Optional – Recite Gayathri Manthra for 108 times on every Tuesday and Fridays. And regular worship of other gods and goddess and your house lord (if any). Due to saturn you are about to get or not – financial and professional problems. So worship of Lord Hanuman is must to pacify this planet. Dear sir,kindly clarify my doubt’s. What is pradosha kalam? What is the best time to do mahanyasa poorvaka ekadasha rudrabhishekam? What is difference between above it and rudrabhishekam. Can I do it in srikalahsti? Please call the Temple priest MR. Shiva Prasadh Sharma @ 9246997711. He may clarrify your doubts. I was born on 26th August, 1984 in Kurugonda village, OJILI mandal, Nellore district, Andhra Pradesh. Time of birth 11.45 A.M. My star is Makha- 1, Simha raasi. Please suggest remidies for my marriage and job. There is strong Mangal / Kujha dosha. Better worship Lord Hanuman by reciting Hanuman chaleesha and the nama of Lord Rama and Hanuman daily and visit his temple, but before and after eight days of your periods. Worship Lord Hanuman also protects you from all the other malefic planets also. the lord is the Adhipathi for Mars and you need to worship him very ardently also. Kumaram shakti hastam tam mangalam pranamamyaham. Worship Goddess Lakshmi and recite “Shri Suktam” regularly. Remember to marry a person who have mangal dosha which nullifies the dosha totally. So consult an astrologer who is experienced more in giving marriage compatibility test report to enjoy marital bliss otherwise may lead to miserable life. There is no time and place of birth to check for any dosha. JUST worship Lord Hanuman by reciting Hanuman chaleesha or the nama of lord Rama and Hanuman daily or on every Tuesday and Saturday. If you could please Lord Hanuman then no malefic planet troubles you in the matter of job and marriage. Because he is the protector against malefic effects and planets and giver god of good health, presence of mind. Steadiness that leads to removes job related problems and thus towards to marriage also. so worship the lord with utmost sincere, devotion. Do not eat non-veg and stop drinks, bad deeds and acts. Believe the lord and worship and he will guide you in all aspects. Please send your daughter name also. The Rudhra Abhishekam will be done during the morning time form 07 am only. not in the evening right. Secondly : Abhishekam for Sri Gnana Prasunambika Devi. 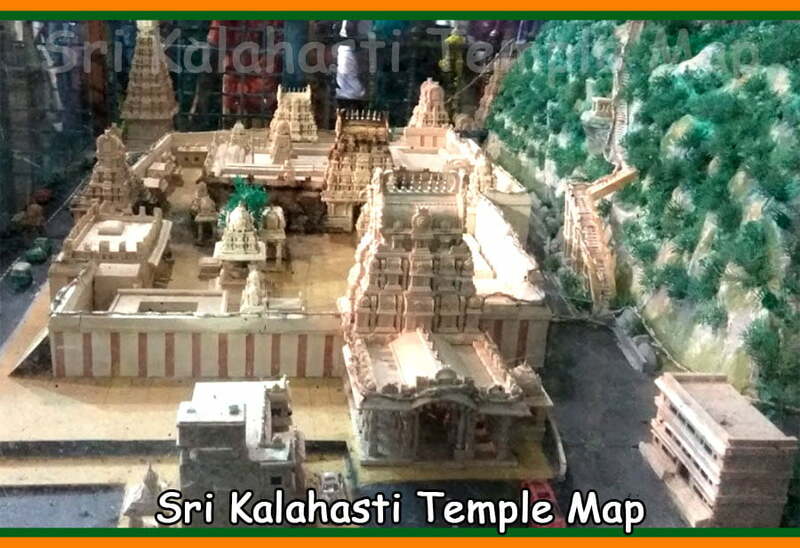 Note :Sankalpam and abhishekam only for Srikalahasteeswara. My daughter was born on 16/10/1992 at 2.14p.m. at chennai. Please inform us the earliest date when she would get married. Naga dosha is there and perform Rahu kethu pooja twice in a year till you see the change. Also must worship Lord Ganesha before doing the puja. Also worship of naga devathas in the temples nearby by light up a lemon shell lamp on every Tuesday rahu kalam time gives protection or dissolves from the dosha. Also stay fast on this day is must. You have Vasuki Kaal sarpa dosham and it is not so easy to dissolve it. You need to do the pooja regularly once in every six months till you see the change. Doing once or twice or thrice and stopping it wont be dissolved. You have to please the lord. You should do the pooja very devotedly. Think about the puranas many kings and demons did penance vigorously. At least you should worship regularly till the change. Remember whether you have worshipped Lord Ganesha before doing the kaal sarpa dosh puja before. It is strongly recommended to do it other said unfruitful. Also you should do it on an auspicious day. Best is place a Kesariya Hanuman in your pooja room or in your office room and worship the lord by reciting Hanuman chaleesha or the nama of Lord Rama and Hanuman daily or every Tuesday and Saturday and visit his temple. If you could please the lord then no malefic planets such as Rahu, kethu, Saturn and mars will trouble you. He is the giver god of good education, presence of mind, steadiness, gives knowledge to overcome the job / business related problems. You should not eat non-veg and drinks or no bad deeds and acts. Please tell me boy and girl horoscopes are matching. Issue was that first our marriage got fixed, but when girl side went to by marriage clothes they met with accident and girls uncle(babai) died. So after that when we consult some astrologers they said it is not a good match. Girls side are telling that there astrologers are saying its good match. Can you tell us what to do, weather its a good match or not. Lack of Prosperity and Satisfaction, no puthra bhagyam, harmony, Sexual compatibility, Mutual attraction and affection with inseparable temperament. My name is bhavani, I was born on 24th Jan 1985 at 2.00 AM, sir am not getting good matching thought I have done many pooja’s (like sarpa dosha nivarana, kathyayani vratam, Krishna pooja for 108 days, tulasi pooja etc ) relating to delay marriage, but till now am not married and not getting good matches which are suitable to me, could you please let me know is there any problem in my horoscope regarding delay in marriage and please for god sake let me know will I get good husband of my choice. plz plz sir. Please send the Place of Birth. 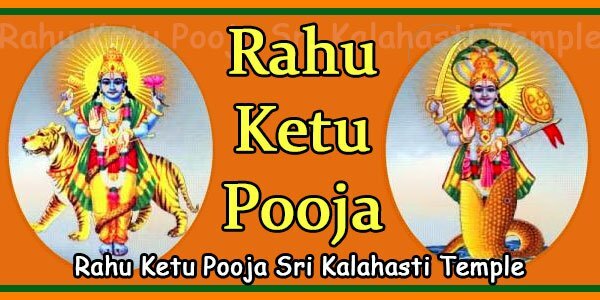 Hyderabad, Ap, I have performed Rahu ketu pooja in kalahasthi 2 days back. I already sent details of my daughter but will send again. Please let me know about any Saturn dosha and also remedy puja. There is no kala sarpa or Saturn dosha in your daughter’s horoscope. Since your child was born in the 3rd Pada of Mula Nakshathra, there will be a loss of wealth. She should worship the deities of ferocity like Rudra and Kali and recite the root mantra “Om Nam”, “Om Pham” and “Om Pam” 108 times during the lunar transition of this nakshatra to lessen illnesses. You should wear dark, earthy colours, red and gold. Perform Rudhra Abhishekam at sree kalahasthi. For you: Worship of Goddess Gayathri by reciting Gayathri Manthra on every Tuesday and Friday or every day for the sake of your family members to get prosperity and good health. Make your daughter worship Lord Hanuman every day or on every Tuesday and Saturday by reciting the Nama of Lord Rama – Jai Shree Ram, ,,,,,,,,,,,,,. If he pleases for your daughter worship then no malefic planet will trouble her and gives good education, Steadiness and good health. You can offer him the vada or betel leaves garland to the lord when ever it is possible for you. Graha shanti and homam abhishekam were performed after birth in kurnool. I wanted to know what dosha nivarana puja is to be performed at temple in kalahasthi. Please kindly guide me reg pujas to be performed. There is no Kaala Sarpa or naga dosham in your child’s horoscope since the Rahu or Kethu are not placed in the 1st, 2nd, 5th, 7th, or 8th house. 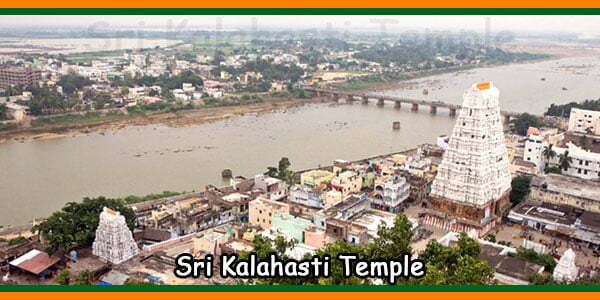 Even then if you are interested in doing the Kaala sarpa Dosha pooja at Kalahasthi, you can do it as it is not a flaw. The best days are : Chaturthi (Fourth day of a Paksha in Hindu month), Panchami (Fifth day), Sashti (Sixth day), Stars of Rahu and Ketu, Purnima (Full Moon), Sura Grahanam (Solar Eclipse), Chandra Grahanam (Lunar Eclipse), any Tuesday, and any Ashlesha Nakshatra day. Or any Saturday, Sunday. Monday and Tuesday Rahu kalam time are considered auspicious. But the purpose for doing the pooja differs: like for Marriage is Tuesday, For Shani Dosha is Saturday, for Job and other family, Physical imbalance matters Sunday and Monday. If you send your child name, we send you about the presence of not of Saturn Dosha. Thanks a lot for response. My daughters name is Bhumika. Born on Aug 6 2006 3.59pm moola 3 pad am. Please let me know any Saturn dosha and also suggest remedy. Please send your child’s place of birth. The Matching strength is 4/10. So more problems with less benefics. No problems in the matters of Heath, a good child, Mangalya balam, evil effects. Problems are in the matter of Social life, Finance, Good understanding, harmony and sexual compatibility, Mutual attraction and affection. Thus you an average quality of life. Remedy: Worship of Lord Ardhanareeshwara by reciting Ardhanareeshwara Sthothram on every Monday between six and seven bestows a peaceful conjugal Life. You regularly attend the Pradosha pooja done to Lord Shiva. You can worship Lord Subrahmanya for financial prosperity. Reciting Vishnu Sahasra nama sthothram on every day morning is suggestible. I was born on 16 th April 2000 in LA , U.S. Time of birth 1.16 pmMy star is Hasta – 1 .Kanya Rasi Lagna Karkata-Chandra . Do I have Kala Sarpathosham Dosham? Since Nov 2006 to Nov 2014 you have Shani Dosha (Shani Sade Sati/Elinati sani). Now there is no Shani and kaala sarpa dosha. The professions suited for this Lagna native are govt service, commercial career, become judges or ministers, business in liquids, sea products, jewellery, restaurants. You can be good sailors, sea captains, explorers. You have Sun in the 10th house, so you are sure to get govt and foreign jobs if you put your efforts. You will achieve fame and paternal property. Moon in the 3rd bhava: You will be rich, learned, strong, a miser; and will have virtuous brothers. You will be a coward; and effeminate in nature. You will have good handwriting. Mars in the 10th bhava: You will have job in the military or police department; the ability to overcome problems; land property; and a beautiful body. You will increase the reputation of your clan and will be famous. You are very clever; proficient in poetry and music; learned man; famous businessman and consultant. You will be very lucky when Mercury conjuncts with Venus in the 9th. All the planets such as Saturn, Rahu and Kethu , Venus are helping for you to get Fame. So overall the horoscope shows a good time for you in the future. But worship of Lord Hanuman makes you hold the fortunes for ever. troubles for you in the future. wat is the procedure to do Rudrabhishekam . do we need any prebooking or we can get the tickets in the temple itself……. as i planned to visit kalahasti next weekend. There is no pre-booking for any of the pooja in kalahasthi. Just come and buy the ticket and do the pooja. Reach the ticket counter by 06.30 in the morning. I would like to know about Rudra pooja abhishekam details and also want to know whether we need to stay whole nite in the temple for Rudra pooja…..please reply asap. You need not stay there in the Temple after the pooja. Rudrabhishekam **** Rs. 600.00 Starts at 07.00 AM Onwards 4 Persons Allowed. Thirdly : Abhishekam for Srikalahasteeswara Swamy & Prasadam receiving.